Last week I spoke about happiness and the benefits it has for you. We aspire for happiness in so many areas of our life – family, friends, love, our sport of passion – but often work and happiness are seen as incompatible. I hope that my piece may have challenged some of your ideas. Since the emergence of their discipline, organizational psychologists have spent decades to research the link between job satisfaction (or happiness at work) and job performance. Though initial research suggested a surprisingly weak correlation, more recent studies found a solid link, especially for jobs with more complex tasks: the happier you are, the better you perform. Many companies are also seeing to start that happiness policies are a worthwhile goal to pursue for them. They may offer free lunch, flexible working hours or other benefits to reward staff and show their appreciation. But the saying that there is no such thing as a free lunch also applies here: they have clear benefits for the employer. As I mentioned last week, shoe retailer Zappos had made the happiness of their employees and customers a key priority, with great success. But there are other examples, like software firm Atlassian, where engineers have creation days to solve problems together in a team. Or places like Google or Facebook, where working conditions are shaped to allow for autonomy and creativity and are part of the mix to keep talent in. Happiness at work is correlated with higher staff retention, less sick days, less accidents on the work floor, and better productivity and customer satisfaction. All good, one would say: happiness at work is good for individual employees and for their bosses and HR departments. From the perspective of management, however, the argument might be different. Subscribing to the notion of neoliberal economist Milton Friedman, one could argue that policies to raise the happiness of employees are pursued at the detriment of the shareholder, and that it means that simply too much is being spent on employees. Finance professor Alex Edmans had though that Friedman-adepts would be wrong. In a paper, he analysed the relation between happiness at work and subsequent profits on stock exchanges. (I can’t cover all methodological details here, but he measures happiness at work by a proxy: inclusion on the “Best Companies to Work” list. His research concluded that after companies reached high levels of happiness at work, their future (longer-term) stock market profits are about 2.3%-3.8% higher than other firms. Whatever Friedman thinks, happiness at work is a good business case. But in the end, happiness at work is not for the shareholder. It is for the employee – each of us. I absolutely believe that there are ways for us to make ourselves happier in our jobs. A large part of our appreciation depends on motivation and perception. In many organisations, there is some degree of autonomy, and some possibilities to steer a position in a certain direction. If that fails, you might have another way to reduce boredom and stimulate inspiration. Try to convince your boss to hire happiness advisors like Nic Marks. Marks, of Happiness Works, thinks that happiness is a serious business: if happiness is associated with so many positive outcomes, employers would be stupid not to invest in it. A happier employee is a happier employee, which is great in itself, but also a better company. Happiness at work is not rocket science. It starts with asking people what makes them happy, what frustrates them, what keeps them going. And when you do that for your team, you can strengthen the positive points and tackle the weak ones – in the same way as a good manager would do with any problem in the office. 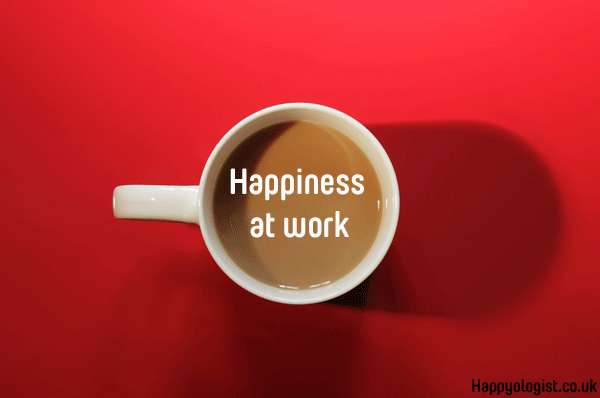 Happiness at work (I) – for you! 100,000 hours. 6,000,000 minutes. 360,000,000 seconds. That is roughly the time of our life that we spend at work. And research shows, that work is one of the places where we are least happy: only commuting is worse. And people prefer to be in company of others (friends, relatives, customers) over being alone, with only one exception: people are rather alone, than with their boss. But should it really be like this? What if we were happy for all those 100,000 hours? Today and next week, I would like to talk about happiness at work. Today, I’ll talk about your personal happiness at the work floor. And next week, I’ll speak about the implications of higher happiness levels for companies. Not many people think of work as a potential source of happiness. In this conception, work and private life are two closely separated areas. In our private life, we go for drinks with friends, lay as couch potatoes watching TV and travel to Southern France. Our job is separate part of our lives, where we earn the money needed to pays those drinks, couches and TVs, and trips. But a stimulating job can be a source of flow, of pride, and of happiness. Recently, more and more companies are taking up the challenge. One of the inspirations was American shoe retailer Zappos. For Zappos, happiness is a part of the firm identity. Founder Tony Hsieh wanted to be the retailer with the highest customer satisfaction. To do so, he believed he had to reach a high level of job satisfaction for his employees. That means many fun events and freedom on the job, and HR policies that are shaped by a Chief Happiness Officer. You can find it cheesy, but it seems that it works. What you are experiencing at work, doesn’t only matter those eight (or nine) hours behind you desk. People typically take their emotional state from work home. A study found a link between work engagement and vigor of an employee at the end of their working day and their happiness level before going to sleep. And not only their own happiness: the effect even crossed over to their partner. 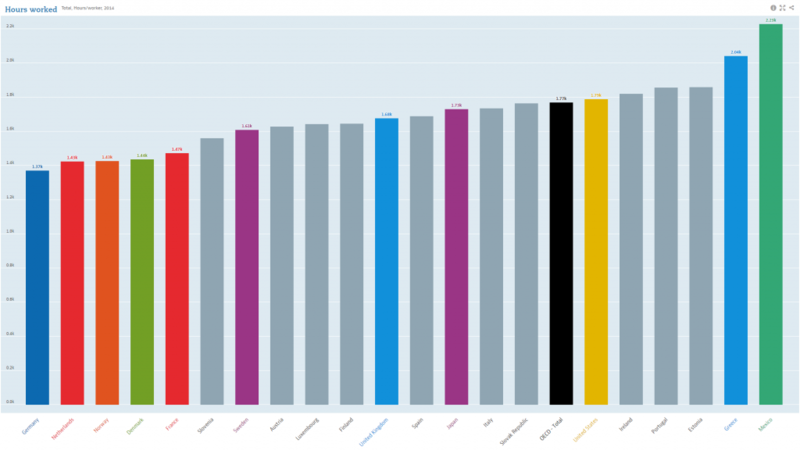 The happier an employee, the higher the happiness level of their partner on the same day! 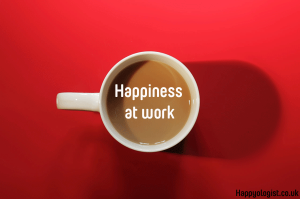 You might be wondering: how can I increase my happiness at work? Honestly: I don’t know. You are the only master of your happiness. You might have some intuitive ideas how you could find happiness in the work place. That’s probably where I would start. But let me give you a hint where the answer could be. During my Commission traineeship almost three years ago, I had a time when I was wondering about my career: where would I end up? What would I do? How would I know it would be right place for me? At one of the career-building events, the speaker referred to a TED speaker Dan Pink. His case is that as industrial times are over, post-modern jobs require a new set of skills. Creativity and flexibility become a lot more important than those during the time a worker followed orders and worked along an assembly line. In this new era, what motivates us to work? Three factors, argues Dan Pink: autonomy, mastery and purpose. Autonomy: freedom in how tackle your challenges. Mastery: getting better and better. Purpose: doing something with a bigger meaning. I think he is right. And when I contemplate my job, and others I would be willing to do, I ask myself whether they do provide these aspects. When searching for happiness at work, aim to find a place that offers you autonomy, mastery, and purpose. When we meet new people, why do we always ask them where they work? Why is the place where we work so defining for our identity? And is it morally permissible to be happily unemployed? These are some of the questions that Konstantin Faigle researched in his film ‘Keep Up the Good Work’. The German original version is released under the more apt title ‘Frohes Schaffen. 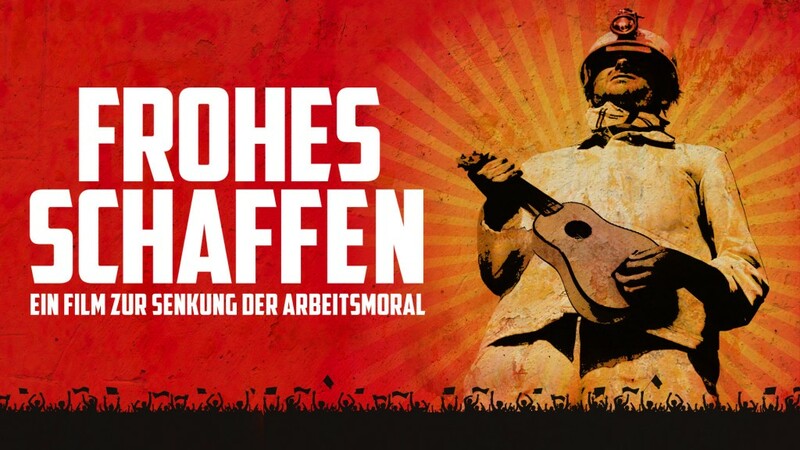 Ein Film zur Senkung der Arbeitsmoral’. I very much recommend you to see the film. 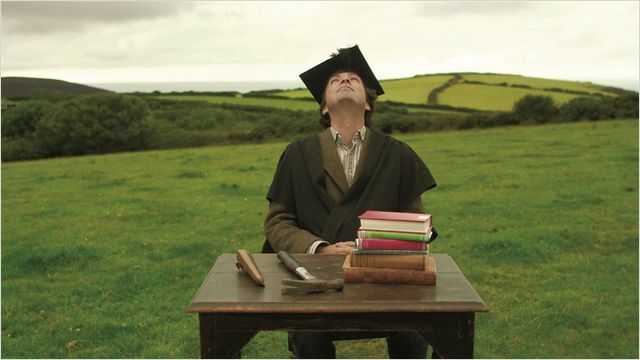 Faigle’s film is a combination of two elements: a documentary about work and a series of personal stories on what work means to his characters. Let’s start with the documentary. The ‘talking heads’ all underline how crazy our relationship with work has become. From the Industrial Revolution onwards, productivity has risen, and work has become so much more than subsistence. Most of us spend more time at work than we know that is good for us. Have you ever met someone who regretted leaving work early? With smartphones and teleworking, work is more invasive of our free time than ever before. Let me give two examples how serious this is: people who are close to retirement can now get a ‘pensioner’s coach’ or see a psychologist to redefine their purpose and find a way to fill their seas of time. And the Japanese language has the word ‘karoshi’: death by overwork. According to meme expert Susan Blackmore, work has become a ‘memeplex‘: a powerful social construct, grouping various ideas and concepts that define what work means to us. Work becomes an essential part of our lives and our society. In the movie, German philosopher Michael Schmidt-Salomon even argues that work has become our new religion. In the current system, factories and offices replace the church as the place where we profess our faith. It’s absurd that we are spending so much time at work. In the 1930s, Keynes though that in two generations, people would only need to work 15 hours a week. If we were to do so – by distributing work evenly across the population or use increasing productivity to work less and keep output constant rather than to increase our economy, we’d probably have to take some lessons from Tim Hodgkinson, the Founder of the Idler’s Academy on Philosophy, Husbandry and Merriment. Though the clip is not available, the picture below gives an impression of one of the brilliant part of the Idler’s Academy lecture series: staring at the sky. (This clip, on idle parenting, also gives an idea of his style). Faigle also addresses the question whether it is possible, and morally admissible, to be happily unemployed. In countries with protestant working ethics, like Germany and Netherlands, this is an inconceivable concept. In one of the funnier scenes of the movie, Faigle hits the streets on Labour Day with a Jesus-like figure stating that Jesus was happily unemployed. People seemed to be more upset about the idealisation of idleness than by the portrayal of a religious figure! Faigle’s movie features some characters that for various reasons (dismissal, freelancer without any assignments, retiree, etc) do not work and thus suffer from a lack of purpose in society. But when they meet of one of Faigle’s more cheerful characters, a ukulele-playing guy working as a part-time mattress salesman, they miraculously start to appreciate life. It is a nice story, but a bit simplistic. Faigle is right in denouncing our working craze. Having A Career is imperative; work is not just something that provides the income and security to live our life. But Faigle neglects that work also gives us a purpose. Part of our identity is defined by the difference we make every day for our clients, customers, patients, students and colleagues. The labour market in the West has progressed. There is a fair amount of dull jobs, but many jobs do carry meaning and bring about a state of flow. Work can also be a source of happiness. And when it’s too much, just play your ukulele for a bit and you’ll be fine.